If you’re going on mission in 2019, this is the last week to enter for a 2019 trip scholarship. 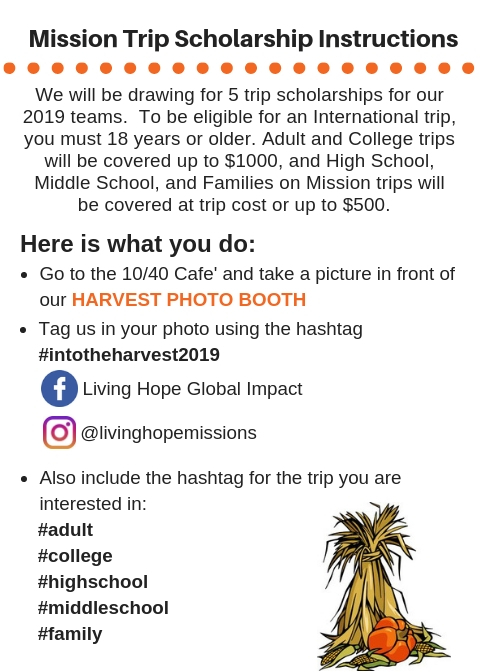 Adult and college trips will be covered up to $1000, and high school, middle school, and family trips will be covered at trip cost or up to $500. Just visit our photo booth in the 10/40 Café this Sunday and follow these simple directions.